We recently completed a small renovation project to enhance our patients’ experiences. 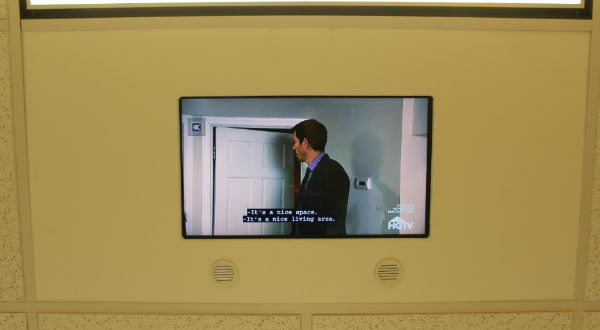 In addition to our existing wall mounted TVs, we mounted flat screen TVs on the ceiling directly above our dental chairs! 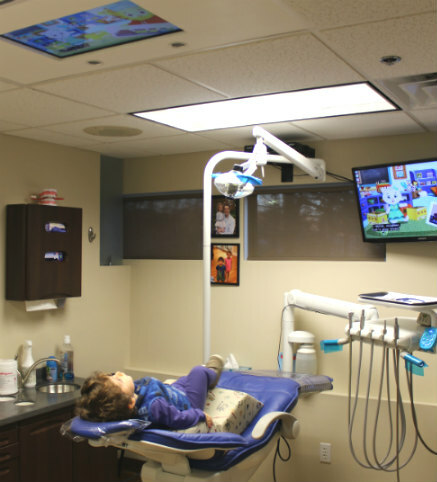 This pediatric patient of ours was spellbound – enjoying his favorite show on the TV directly above him while getting his teeth cleaned. Can I get the name of your carpenter? I need several of these in my house. Can I leave my kids here for several hours while I go shopping? I’ve been a fan of getting my teeth cleaned, but with this TV, I actually love it now! This is better than getting a pedicure! The custom cabinet is mounted within the ceiling tiles directly above your head. And don’t worry, the TV is secured into the ceiling with commercial grade fasteners and plywood. Increased Efficiency – with you looking at the TV directly above, your head position is ideal for us to complete your procedure(s). We can then do better dentistry in less time! Better Pediatric Patient Behavior – as an office that sees tons of kids, we know that we have a limited amount of time to get procedures done. Now, the kids don’t even want to leave the chair. And we’ve also noticed that kids who previously needed nitrous oxide no longer need it – they just needed the TV! More Consistent Appointments – because the TV makes dental visits enjoyable, we find our patients actually enjoy coming to see us. With an increased frequency of visits, we are able to detect small problems before they become big. This results in healthy teeth and smiles all around. Each TV has a dedicated cable box with over 200+ Optimum channels from which to choose. Looking for a modern dental office for you or your family? Call us at (203) 799 – 2929 or visit this page to request an appointment. 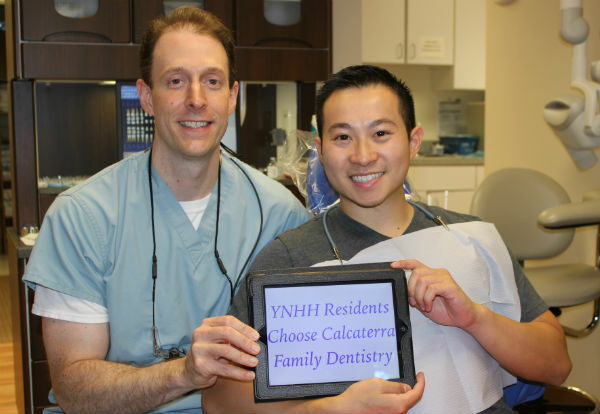 We are pleased to announce that we are rapidly approaching a significant milestone in our dentist office: One hundred dental visits by Medical Residents from Yale New Haven Hospital in 2016 alone! These visits by residents included everything from cleanings and fillings to wisdom teeth extractions and nightguards. We are glad we are able to provide dental care to these doctors in training. In many cases, residents did not see a dentist while in medical school due to unpredictable schedules and hospital rotations. Except in cases of significant traffic, we are a 10 minute drive from both the main Yale Hospital campus and Saint Raphael. Some residents jump on 95, others on the Post Rd, while others take Rt 34 or other routes. 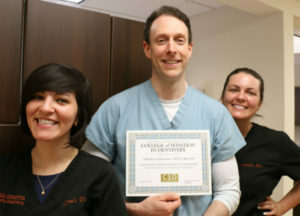 One of our many Yale resident patients at a recent visit with Dr. Nick Calcaterra. Residents, especially those in surgical subspecialties, work atypical hours. In many cases, a dental office that’s open Monday – Friday from 9:00 to 5:00 simply does not work. Because we offer early morning, evening, and weekend appointments, we’re able to accommodate the schedules of nearly all specialties, from Neurosurgery to Peds! (Note: we have resident patients in both those fields). All Yale Hospital residents have some variation of Delta Dental insurance. 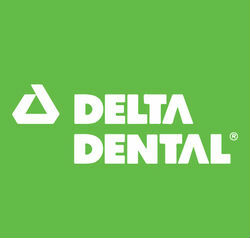 Not only are we an in-network dental office with Delta, we are experts in it! We can make sure you maximize your benefits at our office. Just call and ask for Jenn or Sarah and we’ll help you out. As an FYI, all Yale Hospital employees, not just residents, have Delta Dental, and we have hundreds of employees as patients. We live, eat, and breath Yale Delta Dental! In our experience, some residents like to come in and sleep while they get a cleaning. And that’s OK. Others like to talk and learn as much as possible. And we love that! 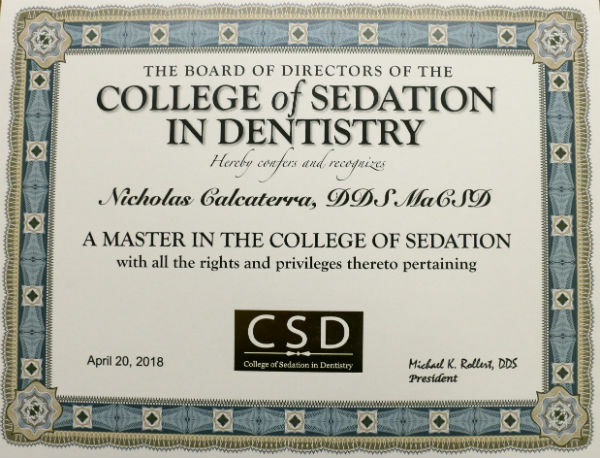 Dr. Nick Calcaterra loves to talk about dentistry. If you want a refresher on all the branches of the trigeminal nerve and how it affects local anesthesia success, you’ve come to the right place! Interested in making an appointment? Want to learn more about why our office is the choice of dozens of Yale residents? Call us at (203) 799 – 2929 or visit this page.